BRUSSELS—The European Commission praised Dutch and British authorities in a statement Monday for reacting quickly to an outbreak of the bird flu virus. 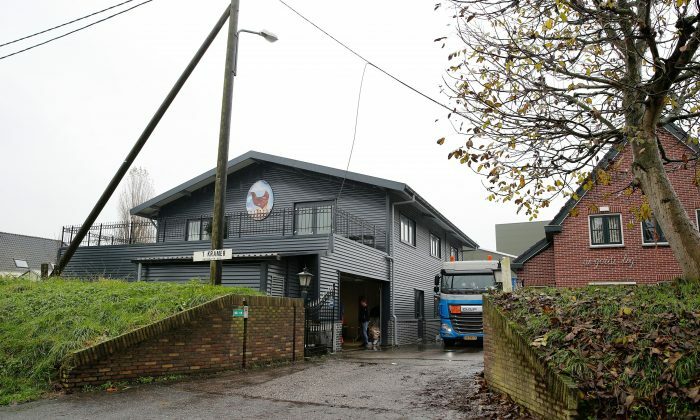 The H5N8 strain of the virus was detected Saturday in the Netherlands, south of Amsterdam, and on Sunday authorities blocked transportation of all poultry and poultry products in and out of the country. The virus was found in a flock of some 150,000 chickens, which are being culled. “This highly pathogenic variant of avian influenza is very dangerous for bird life,” the Dutch government said in a statement on Sunday. The European Centre for Disease Prevention and Control (ECDC) said the risk of it transmitting to humans, however, is low if all sanitation protocols are followed. People mainly at risk are those in direct contact with diseased birds, such as farmers and veterinarians. On Sunday avian flu was also discovered on a duck farm in the UK, and on Monday the government said the flock of 6,000 ducks were culled and a 6-mile restriction zone imposed around the farm. The UK’s Department for Food and Rural Affairs (DEFRA) said it was trying to see if it was the same strain as was found in the Netherlands, which the European Commission said on Monday is likely. Measures taken by the Netherlands are more drastic due to a higher concentration of poultry in the area, said the spokesman for the European Commission, Enrico Brevio, in a press briefing Monday. He said the restrictions in the UK were appropriate to the situation there. The European Commission said Monday that epidemiological investigations are ongoing to identify the possible source of virus. The fact that the three recent outbreaks in Germany, the Netherlands, and the UK have occurred in proximity of humid areas with wild birds and the absence of any other possible epidemiological link between them, points toward wild migratory birds as a possible source of the virus. The H5N8 strain of the bird flu was found in birds in South Korea, China, Japan, and earlier this month, in Germany. This is different from the H5N1 strain that is easily transmitted to humans and has a mortality rate of 60 percent, according to the World Health Organization. European health experts will meet Thursday to review the situation. The government of Liberia is working hard to fight the Ebola epidemic, but its efforts have fallen far short of the need.